Not many people can say they have worked at the highest level across mining, farming, local government and tourism. With that sort of experience comes wisdom and insight that deserves documenting for future generations of New Zealanders. This is the story of Glenn Leach, and in a roundabout way, it is about myself as well. Recently I watched a video where Jacinda Adern, in her maiden speech, saluted her idol and mentor Helen Clark. She was noticeably very proud. I had flashbacks of that speech while interviewing ex Mayor of the Coromandel and one of the founders of tourism in our region, Glenn Leach. Because, in my mind, Glenn is one of our country’s great leaders that I look up to. Prime Ministers, Mayors and Councillors come and go. Often the public, myself included, is ambivalent to the difference they can really make. Regardless of their intent and work ethic, their ability to make a difference is often compromised by red tape. Glenn is a different kettle of fish and a unique breed of leader. He has made a huge difference for our region, The Coromandel. I never thought about how much Glenn had influenced my life until we started chatting and he recounted his CV. It is not everyday you get to have an in depth interview with someone who has had so much influence in a field you are so passionate about, let alone shares the same vision and principles, and is prepared to defend them staunchly. So how did Glenn serendipitously affect my life? While I was studying at university in 1991 I stumbled across a recently published paper called the “The Coromandel Experience”: A PATA Task Force study.” Reading that paper, written by a taskforce of global tourism experts, of which Glenn was one, changed my destiny. I read every word from start to finish then read it over and over. A spark went off in my head that I could make a living in the place I loved, home on the Coromandel, from doing what I loved - fishing, diving and exploring. I shelved that idea and got a ‘real job’ after uni, but in the back of my head was a feeling I should be following my dreams on the Coromandel. A seed was sown. Three years out from that landmark date and, by and large the region is well on track to achieving that vision. But back in the day this document set some lofty outcomes that were not on the radar of our governing bodies. Glenn and a growing bunch of people falling in behind him worked hard to achieve that vision. Other recommendations didn’t transpire immediately but have come to fruition many years later. “Take the Hauraki Rail Trail,” says Glenn. “A cycle walkway like this was in the PATA report back in the day. When the government went to rip up the railway lines, Chris Adams and I went and pleaded to local and national government to leave the bridges and open access in place for a cycle walkway. It would have extended from Morrinsville to Thames and Paeroa to Waihi. We got turned down. Twenty years later and we spent all that money again to create the Hauraki Rail Trail. We could have done it for a fraction of the cost back in the day.” Talking to Glenn it is clear he is someone who thinks a long way ahead. Glenn’s passion for tourism hasn’t just been at a governance level. 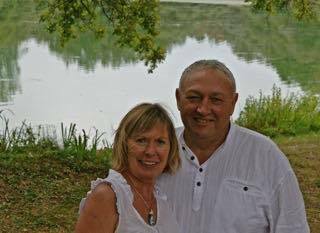 He has spent well over 30 years running his own tourism businesses and still does, in a small way with the Salutation Apartments in Thames. Together with his first wife Rennie he built up the very successful Aotearoa Adventures. This multi faceted business included a conference centre, motor lodge and personalised tours. One of the great things about this business says Glenn, was the lifelong friendships that were made. In its day Aotearoa Adventures was one of the Coromandel’s flagship tourism products. I left Tourism Coromandel in 2008 to make my own dream a reality, starting my own tourism business, and remember Glenn taking an interest in my plans at the time. About the same time Glenn’s wife Rennie had a battle with melanoma which she lost. I felt for Glenn as Rennie was a great woman who cared as much about people and the area as Glenn. “Rennie was right behind me all the time, she was super supportive of everything I did and stood for, and she was passionate about making sure the Peninsula was kept in a sustainable mannner” said Glenn. So how did Glenn cope with that loss? In 2010 Glenn ran for Mayor of Thames Coromandel District Council and won by a landslide. He had grand visions, he said, of creating a ‘Heritage Region’, an internationally recognised brand for the Coromandel which protected its natural assets and stories. I can remember thinking at the time, Glenn is a straight shooter, but how is he going to turn this beast around? Most importantly, is he going to have the rest of the councillors along with him? And there it was, two people sitting there in violent agreement. Both passionate about the Coromandel, talking the same language. But then I thought, maybe that is because Glenn has actually shaped my thinking over the years. If there is one message I would like you to take from this article, it is don’t underestimate what a strong influence you can have on people’s lives by stepping up as a leader like Glenn has. In doing so Glenn has had a profound impact on my life that I really did not know about until I went to write this story. I can see many others in the same field as me that have been influenced as well. There is something to be said for having a vision, for collaborating but not conceding, and when the time comes, standing up and being a leader. I’d like to see that happen too. Glenn has obviously had a recipe for success in most things he has put his mind to over the years, so I had to ask thim, what advice would he have for someone that has a vision for their own business? These days Glenn is taking a much needed break. A few operations on shoulders and wrists that Glenn put off while in office have just been ticked off. Now, once he is fully recovered “I’m back playing golf. I absolutely love the game, you are playing against yourself and it is all upstairs. I also having a passion for motorsport I want to explore a bit more. Glenn now lives overlooking the Pacific Ocean at Kuaotunu with wife Trudi. “Trudi has been right there with me all the way during my time as Mayor. Trudi has very similar passionate beliefs of the Peninsula and where it should go. Trudi has been a great person to bounce things off because she has been involved in the local industry for so long and she gets it. We’ve just recently refurbished the old Salutation Hotel in Thames. That was an 18 month project and a large part of the vision and execution came from Trudi. So will the challenges the Coromandel faces be far from Glenn’s mind? It sounds more and more like Glenn might still have his finger in the pie somewhere along the lines.